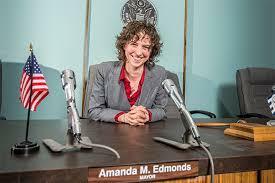 Amanda Edmonds says it is with "mixed heart and spirit" that she will not seek a second term as the Mayor of Ypsilanti. In an exclusive announcement on 89-1 WEMU, Edmonds expressed gratitude for the opportunity serve and is looking forward to a new chapter in life. Hear the full interview and read Edmonds' formal announcement below. WEMU News Director David Fair talks with Ypsilanti Mayor Amanda Edmonds about her decision against seeking a 2nd term in office. Through the work of a Police-Community Relations/Black Lives Matter Task Force, appointed by me and chaired by Mayor Pro Tem Nicole Brown, our city council took proactive steps forward around further police transparency and accountability, both overhauling the police complaint process to be more accessible, and then forming a Police Advisory Commission, members of whom are just being appointed. The Task Force brought forth emerging best practices in police oversight from across the country and I am so grateful for their dedication, and looking forward to this new Commission getting under way, and more citizens knowing how to positively engage with our public safety. Thanks to our voters approving the Water Street Debt Millage, and the County Public Safety and Mental Health millage, we will finally have some dollars to bring public safety staffing levels in both police and fire back up to base levels, after which we can get back to the deeper community engagement work our officers have been unable to prioritize as they run from call to call. And, also because of the Water Street debt finally having a dedicated funding source, this year I look forward to engaging with citizens and our Parks & Recreation Commission to understand their priorities for some long-overdue infusion both in our parks and in our volunteer-championed recreation facilities of the Pool, Senior Center, and Parkridge Community Center. I am grateful, too, to have worked with and supported other major community institutions-- St. Joe’s and EMU in particular-- as they have deepened their investment and partnership in many parts of our community, but namely those that support healthy and engaged youth and adults. As New Parkridge concludes the multi-year major conversion and renovation of all of our Ypsilanti Housing Commission units-- a project we should all feel proud of, with some of the most beautiful housing stock in the city, I look forward to continued work with YHC on development of new permanent public, affordable, and/or supportive housing. They have shown their capacity and we’ve been working over the last year to scope out possible properties. Through my service on Washtenaw County’s Housing Equity Leadership Team, I keep working to move the conversation about housing in Ypsilanti to the need to preserve affordability before it is lost. In addition to YHC’s prospects for new development, I look forward to strong community voice in our Master Plan updates helping to guide some land use decisions to support that, to finding common ground enough to pass a Community Benefits Ordinance, and to determine what other direct strategies-- land trusts, et al-- and indirect but equally as important indirect strategies to increase opportunity and raise wages. Our commercial districts continue to be filling and continuing to be vibrant, with several long vacant and large properties in downtown transitioning ownership and being give major investment. Our DDA, which we transitioned two years ago to be staffed by our city community & economic development department, has worked hard to make this happen and turn the corner in our downtown district in particular. I’ve loved being part of supporting these owners as they move through their development processes, especially because so many are Ypsi-grown, and bringing things to the DDA district that serve the interests of many residents. The latest-- the Michigan Advocacy Program, who provides many routes to free legal services-- is renovating the Smith Furniture building, the capstone in bringing South Washington back to life and full occupancy, expected to open this summer. And, the train. After many moons of attempts, just about two years ago now we were finally successful in gaining Amtrak and MDOT’s approval for the train to once again stop in Depot Town. A failed RTA vote-- which may have provided funding-- and our own first failed Water Street millage vote set us back from prioritizing that investment, but I hope this year we begin to again make progress on bringing this great asset back to Depot Town and Ypsilanti, and I’ll work in the next 8 months to help get that project back on track. As we look to support local businesses, part of the role of local government that may not sound exciting is in the area of procurement, as institutions are collectively major economic forces in our county in particular. I led changes adopted recently to our Procurement Policy that define and put strong preference on both locally-owned and sustainability-minded practices when the city bids for good and services. That is among many examples of the back end work of governing, along with much of the important work of budget development, hiring a new city manager, responding to citizen requests, nominating to 23 board and commission, that takes much of the 20 hours a week of work as a part-time (mostly unpaid work as) mayor. While there are moments that a mayor is in the spotlight, there are many more in the background-- and in countless meetings-- doing the hard and at times slow, and dry, work of governing.I am grateful for the learning and the opportunity to have done it all. One thing has become very clear in the last 10 months or so-- the tenor of discourse in and towards our political spheres-- from national down to local levels-- has soured. This, for me, has felt markedly different than in the previous years of my term, and as I’ve watched it at the federal level through and since the presidential campaign, I’ve seen and felt it locally, too. Personal attacks not actually grounded in the person or based in fact about an issue are easily slung by people at all ends of the political spectrum especially in online sphere. I have even been the target of direct hate speech as an out LGBTQ leader, and received direct threats to my safety because of my vocal support for immigration and our residents from across the world. I share that because it’s not just me. Bullying-- that in any other context we would deem unacceptable-- is commonplace and in the open both from and towards people in elected office, and in my experience, often has underlying gendered aspects. I think we are at a time in our democracy’s history in this country, as well as in our own community, in which we need to examine how we engage in productive and participatory discourse. We need to continue to dive deep into difficult issues without clear answers-- not hide from having difficult conversations, and continue to improve how we make space to include more voices. We cannot afford, though, to continue to condone vile and vicious attacks via our complacency, even if we are not the attackers ourselves. That silence degrades democracy. In this moment in our country we are also in an exciting transition, when new generations and demographics historically excluded are stepping up to participate as neighbors, electors, and candidates in the political process. I fear, though, that those temporary victories will not lead to sustaining strong public servants if we do not seriously address what is and isn’t acceptable. And, unless we challenge the old ways of dirty politics (that I have seen are still alive and kicking at every level), bringing more diverse and historically underrepresented voices into elected office-- and in particular keeping them there-- will be very difficult. We need to restore a culture of respect and diplomacy. Even if we don’t see it modeled in some of our nation’s highest offices; we can choose to do so, and make it our expectations of one another, in at least our own community. Some of my greatest political mentors are people with whom I fundamentally disagree on a number of key issues, but with whom I can dialogue with productively, and then learn from the space between our stances, however firm they each may be. 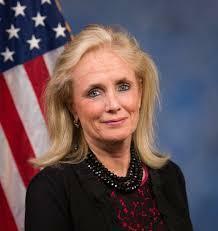 12th District Congresswoman Debbie Dingell is hosting a special town hall meeting Thursday, February 22nd to discuss Ypsilanti's ongoing mail service issues. 89.1 WEMU's Lisa Barry discussed the upcoming community meeting with the congresswoman. 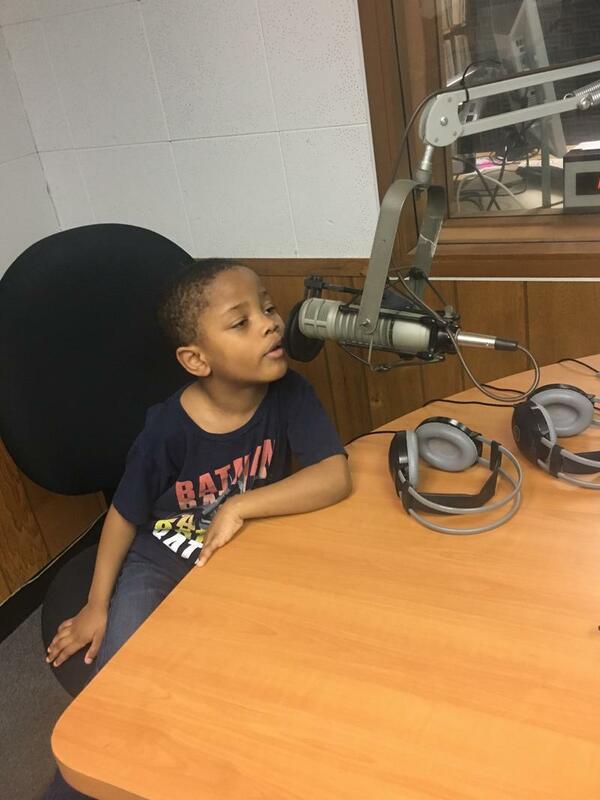 Five year-old Ziare Gunn, a student at the Ford Early Learning Center in Ypsilanti, is gaining a lot of recognition for memorizing and reciting a special poem for Black History Month. 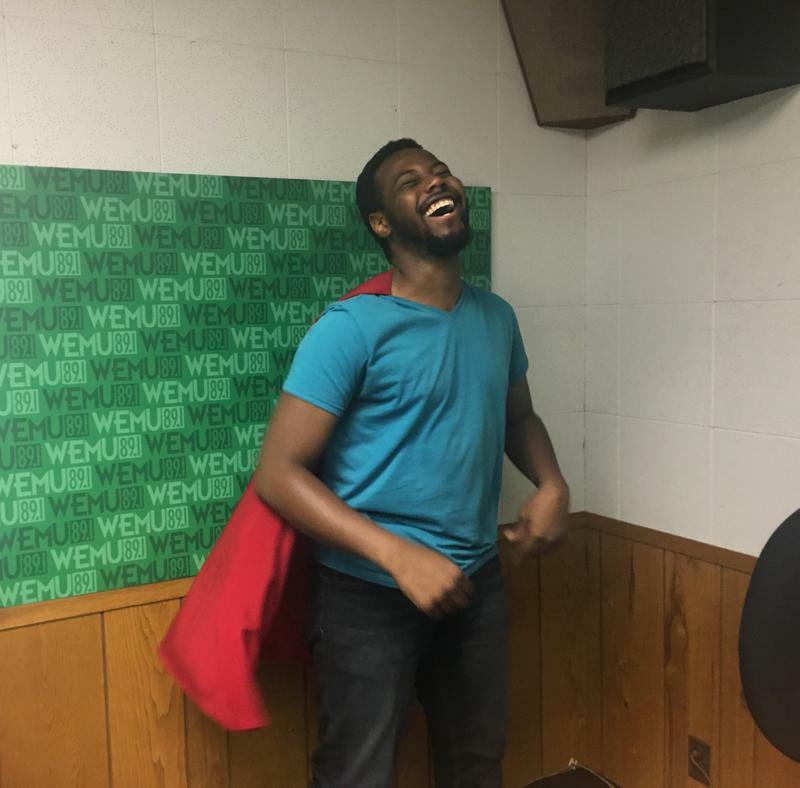 He joined 89.1 WEMU'S Lisa Barry in studio along with his grandmother and teacher and shares the poem with WEMU listeners, saying it "makes his heart feel good." Dozens of Ypsilanti High School and Middle School students will be treated to a special film opening next month thanks to a local fundraising campaign that exceeded expectations.